Half. 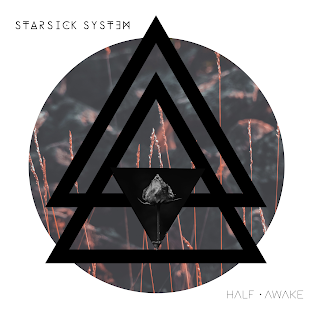 Awake is the first single taken from HALF., the new EP by Starsick System. This song is the beginning of a new era for the band and it has come to life because of the fan's support through MusicRaiser campaign. The band has created a total new brand with a strong evolution of their sound: from hard rock of the beginning to current modern metal for fans of Nothing More, Of Mice & Men, Escape The Fate, Papa Roach, Bring Me The Horizon. Catchy melodies, heavy riff and great chorus. The band is currently in studio, working on the last details of HALF. The EP follows the release of "Lies, Hopes & Other Stories" (2017) pushed by their biggest hit "I Am The Hurricane" (over 16k stream on Spotify). Starsick System will be on tour in Europe at the beginning of July. Dates will be soon unveiled.